Yas, knights! Lance your way straight through that glass ceiling! 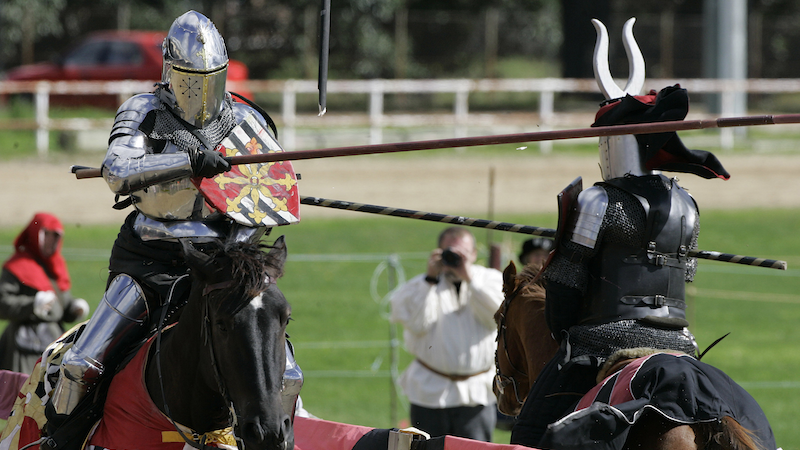 Thanks to Game of Thrones popularizing the idea of the Strong Female Knight, and also Knights in general, the United Kingdom will now allow women knights to compete in grand medieval joust competitions at Bolsover, Kenilworth, Pendennis and Carisbrooke castles. Namely, this allows for two expert jousters, Nicky Willis and Alix van Zijl, to compete. What will we be allowed to do in 1,000 more years? Vote? !